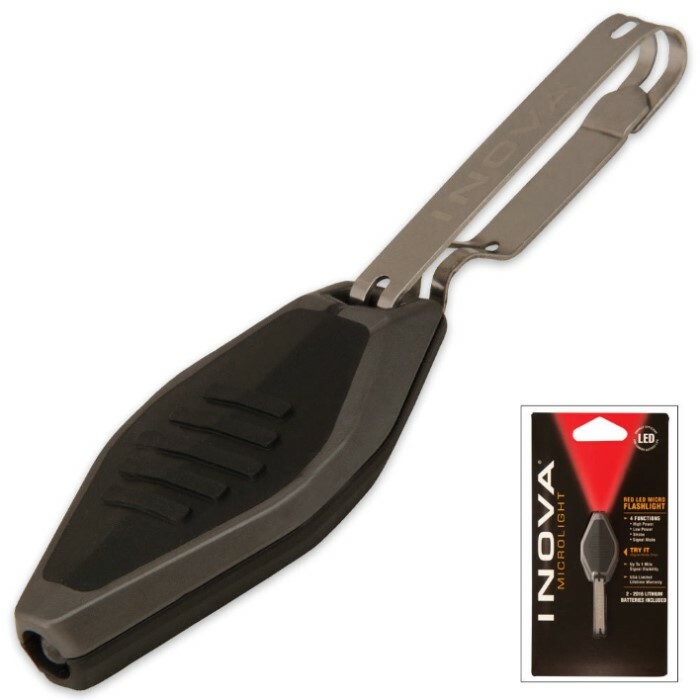 Powered by two 2016 Lithium coin cell batteries, the Inova Microlight is a professional grade micro LED flashlight, with surprisingly powerful performance. This Microlight has an effective range of up to a 50 feet and one-mile signal visibility. It features four lighting functions: High beam, Low beam, Strobe, and Signal. Other features include the water-and-crush-resistant body and a stainless-steel universal clip that attaches easily to keys, zippers, purses, backpacks, military gear and any number of convenient locations. 22 hour run time.